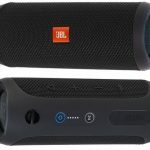 JBL continues their new line of voice-activated portable Bluetooth speakers, and today we’ll look at the JBL Link 20 portable speaker. If you’re a fan of Google Home but wanted a more portable, powerful and higher quality speaker, the Link 20 may be in your line of sight. 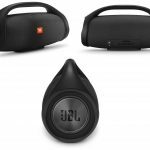 Equipped with features such as Google Home and Assistant, Chromecast and other great Google services and apps compatibility, not to mention the higher power and better quality audio than the original Home, this collaboration between the two monstrous brands gives us an amazing solution for not only our homes but on-the-go music playing and other audio endeavors outdoors. Let’s get into the details! 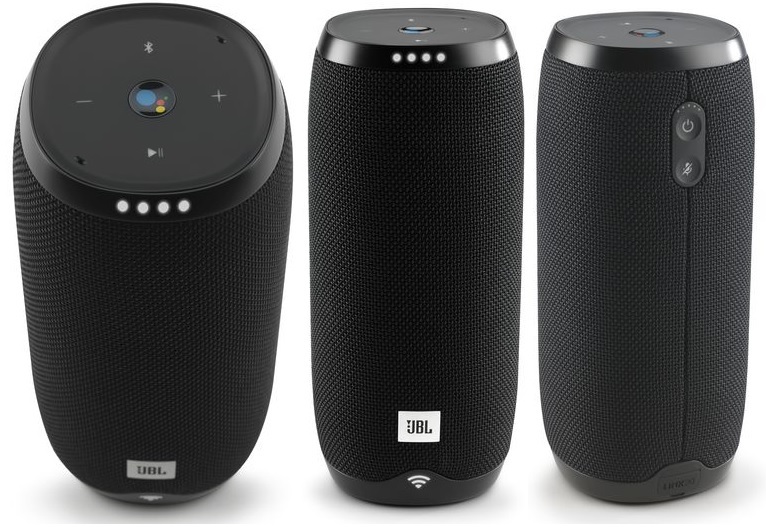 Before getting into the main features of the JBL Link 20, the main component of this (as well as the others of this series) is the compatibility with Google Home, which will be the main reason to buy this product. If you’ve never used or heard of Home, it’s essentially Google’s version of their voice-activated speaker, said to rival others in the voice assistant and smart speaker game, such as the Amazon Echo or Apple HomePod. The Link 20 has literally Google Home app, giving us that ability to say “OK Google, [insert command]” as we’ve all seen in the commercials. The various commands you’re able to say and use the JBL Link 20 for include, but aren’t limited to, ‘discovering’ features, tips and offers, browsing music, TV shows and movies, controlling what’s playing (pause, play, change volume), as well as other control settings of linked ‘smart’ features you may have handy in your house, such as smart lights, thermostats, and other Chromecast devices. Better yet, if you have Chromecast attached to your TV, you can link this up and control everything with just your voice (because who likes using remotes?). There’s also a multi-room playback feature across different speakers if you have a few of these (or compatible speakers) lying around. Aside from the Google apps compatibility, let’s look into the Link 20 as a speaker itself. You’re first getting IPX7 waterproof to help with protection and further help it state its case as portable (yes, you can also submerge it ultimately, but we wouldn’t recommend dumping $200 into water for fun — if it does take a fall, it helps gives confidence, at least). Take it to the beach, lake, on hikes, picnics, you name it — just make sure you have Wi-Fi. If you don’t, you can always look into setting up a hot spot with your phone if you have enough service. Don’t get us wrong, you can still use the speaker without any service whatsoever, you just won’t be able to access Google Home. Aside from the waterproofing, you have a very slender size to allow it to stand upwards, and the audio resolution is quite clear at 24-bit/96kHz. This is up there in terms of quality with some of the better Bluetooth speakers in the market. 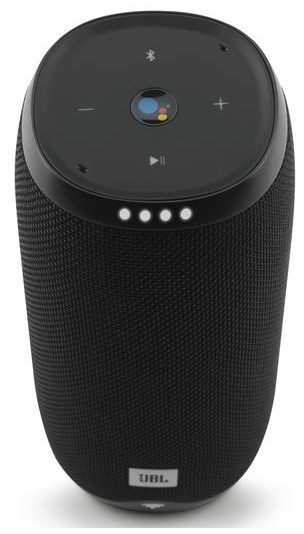 A larger view of the JBL Link 20 voice-activated speaker (Source: JBL.com). 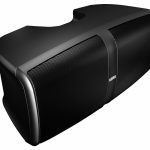 Let’s talk numbers and specs for those who are interested. For the battery, you have a nice 6000mAh (2000 more than the Link 10) rechargeable Li-ion that will take about 4 and a half hours to charge for nearly 10 hours of playtime (this will depend on the volume and content). This is about double from their Link 10. The Wi-Fi connection network is 2.4/5GHz that will never get interrupted and will be quite regardless of your environment — nothing to worry about in this area. Your frequency is response is also standard at 65Hz–20kHz, giving us a great range for some deep bass and nice highs. 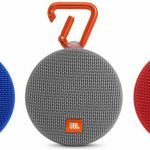 Audio quality has never been a concern with JBL products and although a more popular brand that’s a little higher priced than others due to marketing, it’s giving us what we pay for — confidence in the overall build as well as audio quality. 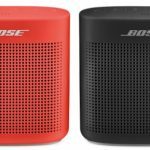 This portable speaker would function fine as just a regular portable Bluetooth speaker considering the specs, although if it didn’t have Google app and voice-activation accessibility, it would be a bit over-priced. Again, this is why we only feel this speaker is worth it if you’re a voice assistant junkie. This is an upgrade to their previous model in this series that we’ve recently checked out. 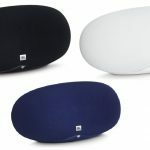 You can read our JBL Link 10 speaker review for some more information. Ultimately, you’re paying about $50 more retail for double the playback time, louder volume, a bit nicer in audio quality, better quality battery, although this all comes at a price not only numerically but in size as well. If you think it’s worth it and want a better quality speaker and more portable solution than the original Google Home, this is an awesome product. 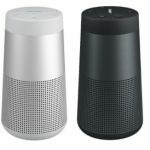 If you aren’t actually using this for Google Home or don’t foresee yourself using it for voice-activation or assistance all of the time (or perhaps want to buy it just to try out voice compatible products), you may be interested in just laying off the product line entirely and checking out our guide on the top portable speakers in the market (although those don’t have voice-activation, so perhaps trying the original Google Home for a slightly cheaper price may be of interest to you). 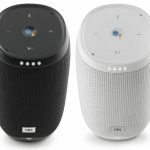 Otherwise, the JBL Link 20 speaker is an amazing solution for those are on board with the voice assistant and smart speaker game — it’s starting a new trend and showing us that brands like Google and Amazon are going to start collaborating with some of the heavy hitter speaker brands in the market, which only helps us consumers. Although we aren’t huge on using voice-activation ourselves every time we need to use a product in our home (talking is hard), we’re starting to dig this trend.